Got My Patay Gutom Keychain!! I got an email from Google Alerts saying that my name was posted somewhere. 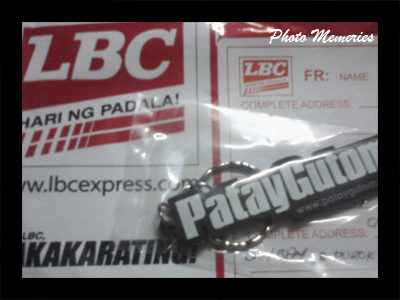 So, as clicked on the link, I discovered that my Patay Gutom Keychain was on its way to me! Thanks to Jehzeel Laurente for considering my comment on their site, Patay Gutom, rocks! So today, as I woke up from my afternoon nap, my mom told me that I have an LBC package. When I saw it, I immediately knew it was the awesome keychain I have been waiting for! Nakakatawa naman yung pangalan nang key chain na binigay sa iyo- patay gutom. Well, it’s all just for fun even if the word connotes negative thoughts. Thanks for the post. God bless you always. ang cool naman nyan! hehe. i hope u can visit my blogs too! @jehzlau, Thank you very much! !